The Marlboro Township Police Department was created through a Township Ordinance in early 1968. Dating back to 1962, the Department was in its infancy stage and work was being done by many people to get it up and running. The New Jersey State Police were the ones responsible for providing police protection to the Township. In 1961, one of the campaign promises by the governing body was to have its own full-time police department. After the state had increased the cost to provide their services; this along with other reasons prompted the Marlboro residents to want their own police force. In late 1962 and the early part of 1963 the Township had 3 part-time special officers to patrol the Township. They were Joseph R. Walker, Charlie Witkowski and Al Boysen. In 1965, Mayor McCue hired these additional officers; Lindsey Seber, Lonnie Powell and Oscar Bennet. In 1966, Joseph R. Walker was named acting Sergeant to handle the administrative part of policing as well as the patrol work. 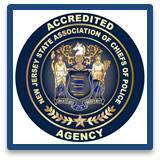 Late in 1967 the Township called for a “Chief of Police” test through NJ Civil Service. When the results came out in 1968 Joseph R. Walker was promoted to Chief of the Police Department and an ordinance officially creating a full-time Police Department was created. The five original full-time officers were Joseph R. Walker, Tom Wallace, John Farrell, Dan Meyers and Larry Taylor. The part-time officers were Al Boysen, Lindsey Seber and Lonnie Powell. Although many of these original officers moved on in their early years, they were instrumental in helping form what the Department is today. The early years were difficult to say the least. There was no official police station. The first police car was a 1960 Chrysler which was bought used from Bennet’s Garage. The second car was a 1963 Plymouth Belvedere which was also used. It wasn’t until 1968 that the town was able to purchase new Dodge patrol cars. The radio communications system was housed in Chief Walkers’ house in the early years. Eventually the department shared a room with the road department in the old township garage (Main St. N.). If the officers had an “arrest”, they had to bring them into the public works building. With the help of the local builders who donated materials and supplies, Chief Walker and the officers built a room onto the public works building that they could call their “own”. As the Department and the Township expanded so did the need for more space. Trailers were added on site, but that was found to still not fulfill the staffing needs. In 1976 plans developed to construct a new Municipal facility on Wyncrest Road were developed. In 1979 the Township offices and the Police Department moved to their current location off Wyncrest Drive. Now, over 30 years later the Marlboro Township Police Department is upgrading and expanding at the leadership of Chief Bruce E. Hall to fit the demands of our growing Township. Marlboro Township encompasses over 33 square miles and has a population of over 41,000 residents. The community consists primarily of residences and the abundance of commercial real estate can be seen within our Route 9 corridor and our historic area of Main Street. Our citizens enjoy our three swim clubs, a recreation center with amphitheater, Dog Park, outdoor roller hockey rink, tennis courts, public playgrounds and a host of yearly programs for the young and older. Our police force has grown to 65 full-time sworn officers, Our communications operators are 10 full-time and 4 part-time. We are complimented with civilian support staff to include an evidence technician, records staff, training technician and administrative and confidential assistants. Our growth into the 21st Century has created a state of the art communications center that acts as a PSAP (Public Safety Answering Point) for 911 calls. In 2013 communications will have taken over 39,000 calls in their emergency and non-emergency phone system. Communications maintains 2 to 4 dispatchers 24 hours a day and all are highly trained with Emergency Medical Dispatch Certifications. Our officers can be located in patrol, as detectives, school resource officers, traffic officers with nearly half of our officers as certified EMT’s (Emergency Medical Technician). Marlboro police maintains their own ERT (Emergency Response Team) with members also in MOCERT (Monmouth and Ocean County Emergency Response Team). As the Department grows so has our technology, we maintain our own full time Information Technology Technician who supports all of our Department computers, mobile data terminals, in-car cameras, communications, and phone systems. Our software systems consist of CODY which contains our calls for service and reports. We utilize POSS for scheduling and payroll which further enables us to advise officers and employees of upcoming training dates. PowerDMS is utilized for retaining and signing of polices along with assisting in the training process. Finally, we have incorporated all of these software systems (including email) to be accessed by officers and employees remotely from any computer with internet connection. Beyond our grown and technology, the Marlboro Police Department has taken pride in being the first police department in NJ to enact a Cell Phone Ordinance (7/2000) for the protection of all citizens. After the Newtown Connecticut School shooting the Marlboro Police Department was the first police department to place an officer in each of our nine schools, ensuring the protection of the children in our schools until part time security was hired by school officials. There have been many different faces and names throughout the Department’s history but one staple remains the same, the commitment our officers have to the citizens of Marlboro Township.